The Head Offices are situated in Alsina Street No. 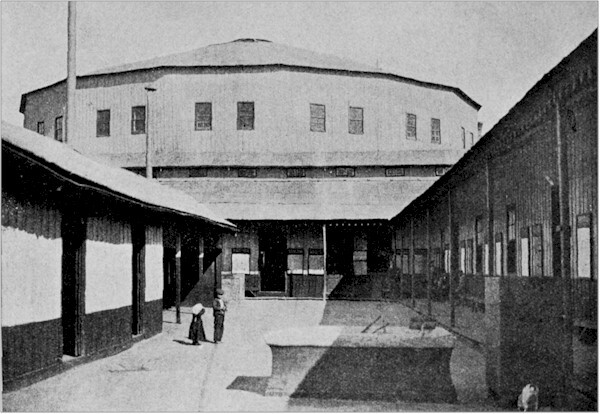 624 Buenos Aires, where information can be obtained either verbally or by correspondence in different languages by those who wish to establish themselves in the Argentine Republic. The Immigration Department under the control of the Ministry of Agriculture, has the direction of all relating thereto in the Argentine Republic, and is organized to correspond to the special services related to it, which are ruled by the organic Law of 16th. 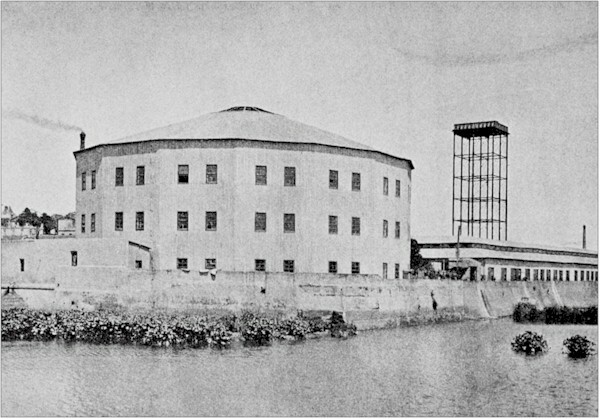 October 1876. 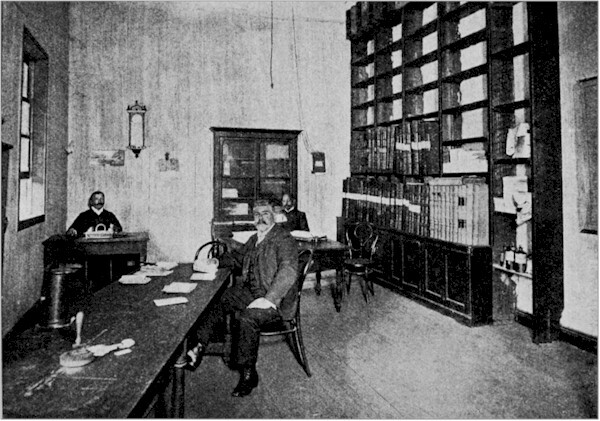 The managing staff is composed of a Chief and a head clerk, and further more the Secretary’s Department, Archives, Accountants Department, Treasury, Statistics, Interpreters office for verbal information and foreign correspondence, Disembarking office, Labour and Forwarding office, Immigration Hotel, Hospital and Medical service, and Post and Telegraph office, all of which are established in Buenos Aires. To attend the requirements of the service in the Interior, there are 42 Auxiliary Commissions established in the principal cities and towns of importance. In the Archives of the Department, a careful Register is kept of all administrative papers, studies, observations and documents of ships transporting immigrants, and a list of all those entered since the year 1857. The Statistical Office keeps minute statistics of the immigrants arriving in the country, classifying annually and monthly the arrivals and departures of steamers, stating date, flag, number of passengers and immigrants with a summary of the immigration movement; steamers inspected, ports of procedure, classification of immigrants according to nationality, profession, sexe, age; monthly, annually and quinquennially; sexagenarians entered; births and deaths on board, immigrants entered at the Hotel and settling of immigrants in the interior. In the Interpreters office there are employés who speak several languages: verbal information is given to all immigrants who ask for it. It provides information regarding lands offered for sale and has charge of the foreign correspondence. Those who avail themselves of the benefits of the Law, are lodged in the Immigrants Hotel whilst work is procured for them, which is done immediately. The Hotel is provided with the accommodation and service necessary to meet this requirement. The Hotel is provided with interpreters of all languages, to mediate between the immigrants, and the Hotel employés and the Labour and Forwarding Office. Sick immigrants and members of their families are attended at all hours by the Medical staff of the Hotel, which is further more provided with an Infirmary supplied with all the most necessary medicaments. To facilitate the despatch of immigrants baggage, the Custom House has an office in the Hotel which carrys out all the corresponding operations. By means of this organization, which meets all the exigencies of the immigration in the Argentine Republic, the immigrants are given all the advantages accorded by the Immigration Law hereunder transcribed. Art. 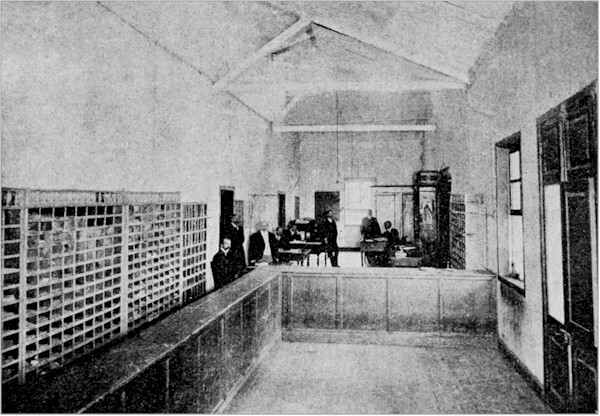 9.—The Immigration-Office in Buenos Aires and the Commissions at their various head quarters shall, whenever it may be necessary, have placed under their direct control a Labour and Employment-Office to be served by such a number of clerks as may be fixed in the Budget. 1. To attend to such applications of teachers, artisans, journeymen or workmen as may be sent in to them. 2. To secure advantageous terms for the employment of immigrants, and to see that such employment be given by people of good repute. 3. To intervene at the request of the immigrants in such agreements as to work as said immigrants may make, and to see to their strict observance on the part of masters. 4. To write down in a special register the number of the procured employments, mentioning the date, the sort of work, the conditions of the contract, and the names of the persons that may have intervened in it. Art. 11.—At such places where there are no Employment-Offices, the duties incumbent on these shall be carried out by the Commissions of Immigration. Art. 12.—By the effects of this Law, every foreigner under sixty years of age, whether he be a journeyman, artisan, labourer, tradesman or teacher, who proves his morality and capacities, shall be considered an immigrant, on arriving in the Republic, to establish himself in it, either in a steamer or sailing vessel, paying his own 2nd. or 3rd. class passage, or having it paid by the State, the Provinces, or by private societies protecting immigration and colonisation. Art. 13.—Those persons to whom these conditions apply and who do not desire to profit by the advantages offered to the immigrants, shall let it be known to the captain of the ship at the moment of their embarking, when he will note it in the ship’s register, or communicate it to the maritime authorities of the landing port: in this case, those persons shall be considered as simple travellers. This disposition is not meant for those immigrants who may come engaged in this capacity for the colonies or other places in the Republic. 1. To be boarded and lodged at the expense of the Nation during the time fixed by articles 45, 46 and 47. 2. To have employment given him in such calling or trade as there may be in the country, and which he may prefer. 3. To be transported at the expense of the Nation to such locality in the Republic as he may select for his residence. 4. To import free of duty articles for personal use, clothing, furniture for domestic purposes, agricultural implements, tools, utensils, instruments of such arts and trades as they may exercise, and one fowling piece to each adult immigrant, of such value as may be fixed by the Executive. Art. 15.—The dispositions of the preceding article shall be extended as far as they can be applied, to the wives and to the children of the immigrants, if grown up, provided they can give proof of their morality and industrious aptitudes. Art. 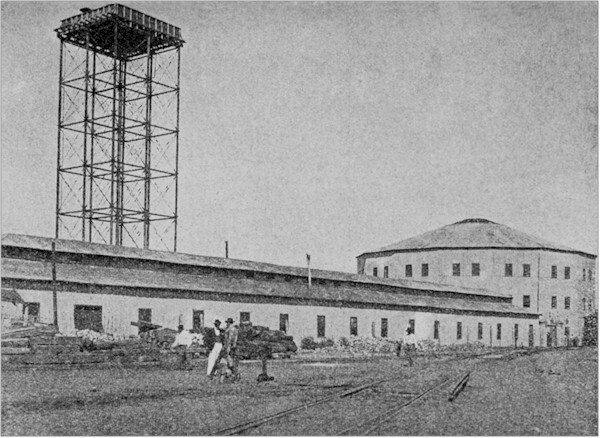 16.—The good conduct and industrious capacities of the immigrants can be proved by certificates given by the Consuls or Immigration Agents of the Republic abroad, or by a certificate from the authorities of the immigrant’s residence, legalized by the said Consuls or Immigration Agents of the Republic. Art. 42.—In the cities of Buenos Aires, Rosario, and at all such others where, owing to the number of immigrants, it may be necessary, there shall be a house for their temporary lodgment. Art. 44.—At such places where there should not be any houses for the accommodation of immigrants, the respective Commissions shall proceed to board and lodge the same in public hotels or in other suitable ways. Art. 45.—Immigrants shall be entitled to suitable board and lodging, at the expense of the Nation, for five days after landing. Art. 46.—In case of serious illness which should render it impossible for them to remove to another habitation, at the expiration of the said five days, the expense of the succeeding board and lodging shall continue to be met by the State, as long as the said illness continues. Except in such cases, the continuance of immigrants at the Establishment for more than five days shall be at their own expense, at the rate of half a national gold dollar a day for every person more than 8 years old, and 25 cents for every child under that age. Art. 47.—The regulations contained in the preceding articles do not include immigrants having contracts with the Government in connection with the Colonies. All such will be entitled to board and lodging free of charge until transported to their destination. Art. 48.—The Employment-Offices or the Immigration-Commissions in their stead, shall use their best endeavours to provide immigrants with employment in such art, trade or calling as they may prefer. Art. 49.—Such employment shall be procured if possible within five days after the immigrant’s arrival, and on as favourable terms as possible. Art. 50.—The Employment-Offices or the Immigration-Commissions in their stead shall, at the request of the interested parties, intervene in such contracts for employment as they may make, with a view to securing their fulfillment for the immigrant. Art. 51.—Any immigrant who should prefer to fix his residence in any of the interior Provinces of the Republic, or at any of its Colonies, will be at once transported with his family and luggage to such place, as he may select, free of all charge. Art. 52.—In case of an immigrant going to the Provinces, he will be entitled on arrival at his destination, to be lodged and boarded for ten days by the Immigration-Commission. At the expiration of this time, he shall pay half a national gold dollar a day for every person over 8 years old, and 25 cents for every child under that age, except in case of illness, when he would continue to be maintained at the expense of the Government as long as the said illness lasts. Art. 54.—The immigrants can on no pretence whatever, profit by the privileges granted by the preceding articles, to pass through the territory of the Republic to a foreign country, under penalty of repaying all the expenses that have been occasioned for their passage, landing, board, lodging and transport. Reception of immigrants in the Argentine Republic. Each ship that arrives in the country bringing immigrants, 2nd. and 3rd. 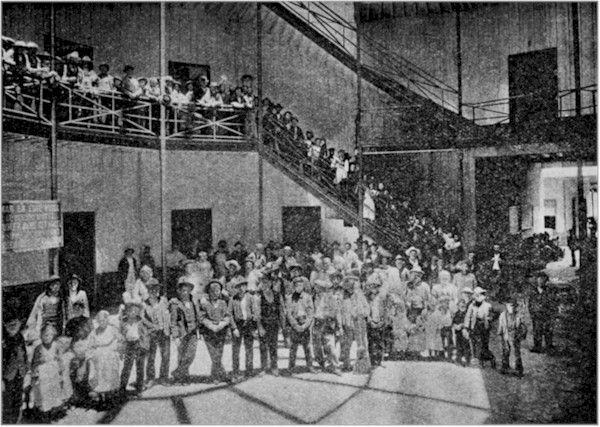 class passengers, according to Law, is visited and inspected by a Commission comprising the Immigration Inspector, Board of Health doctor and Coast Guard officer, who examine the hygiene and healthiness of the ship, accommodation, provisioning during the voyage, supply of medicines, and as to whether a doctor or chemist is carried; if or no a greater number of passengers were carried than the accommodation allows; if the measurements of the deck, sparedeck and of the berths are in accordance with the Law; if there is sufficient ventilation, supply of firehose and cooking utensils, life belts and life boats; if there are passengers with contagious diseases; if passengers have been embarqued at ports where there is an epidemic; if any part of the cargo is inflamable or unhealthy, and, finally, receive any protest of the passengers of bad treatment and obtain from the Captain the documents he should deliver, showing cognoscence of the Immigration Law, and any incidents that have happened on the voyage. This is done in the interest of the immigrants. The immigrants are carefully questioned and classified to find out their trades and means, note being taken of those who do not wish to come under the Immigration Law, their passports then being stamped «passenger only», as also are stamped «former resident» the passports of those who come under that heading. Once the passports revised by the officials, those immigrants admited under the Law, are handed over to the receiving officials of the Immigrants Hotel who attend to them, placing them in trams, which take them to the Hotel. The baggage is taken on trucks to the same place by the Hotel porters. Arriving at the Hotel, the names of the immigrants are entered in the Hotel register and they are given a lodging ticket valid for five days, which can be prolonged in case of sickness. The immigrants are comfortably lodged, the women and children in separate rooms to the men. The baggage is taken by the Hotel porters to a deposit where it is revised by the Custom House Officers, specially. The rations given to the immigrants are of the best, and in the following proportions per day, per adult: meat 600 grams, bread 500 grams, potatoes, carrots or cabbage (alternately) 150; rice, maccaroni, or beans (alternately) 100; sugar 25 and coffee 10 grams; milk is given to the children. 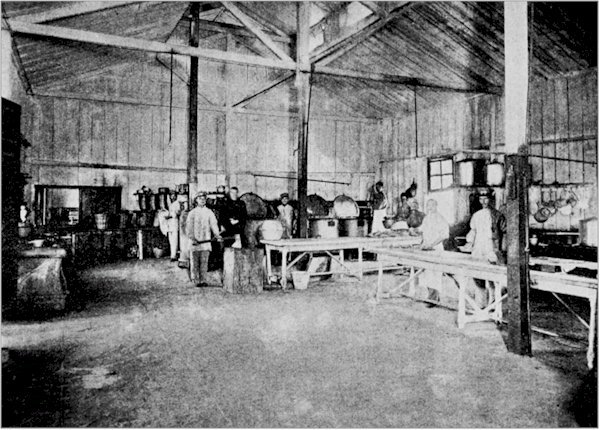 The food is cooked by steam and is served by the Hotel attendants in a large dining room. There is an Infirmary in the Hotel where patients are carefully attended; children as well as adults can be vaccinated. There is a staff of doctors, students, sicknurses, and a chemist’s fully equiped with medicines and disinfectants. 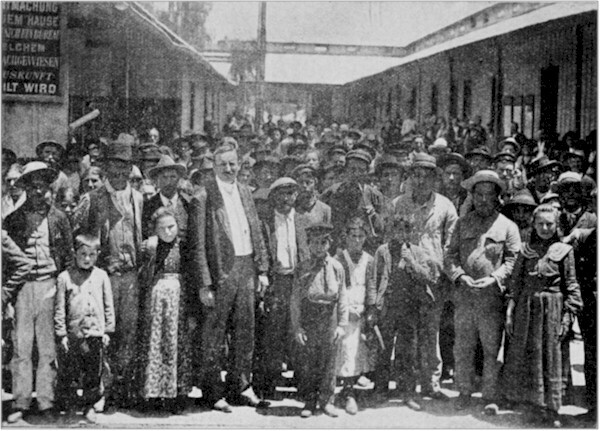 On arrival, the immigrants are questioned as to what part of the country they wish to go, and are offered work by the Employment Office, in accordance with the inquiries for workmen received, full information of which, of wages paid and other conditions are carefully entered up in books kept for that purpose. If there are no enquiries for workmen in the particular trade of an immigrant looking for employment, this Office undertakes to find him work by either directing him to Works and Factories or by telegraphing enquiries to the Interior. Immigrants are warned, should they wish to go to any part of the country where there is no opening for one in their trade. No persuasion is used to induce immigrants to go to any particular part of the country, it is left to them to decide. The immigrants placed up country or who wish to join their relations, are taken care of by forwarding Agents who remit their luggage properly labeled, note down the immigrants so forwarded, provide them with tickets and see them on to the train or river steamers. 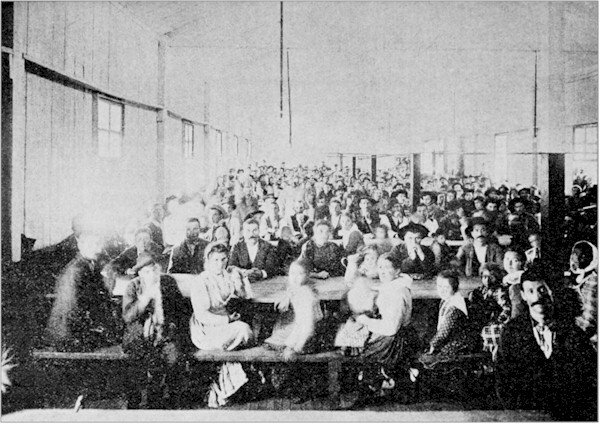 The immigrants who go to the Provinces or National Territories to be settled, are met on arrival of the train by the Secretary of the Branch Office, boarded and lodged for ten days until they are settled or leave for some fixed destination. If they should have to change trains, they are looked after by this Official in the same way as in the Federal Capital, from the arrival of one train until the departure of the one in which they continue their journey. For the better handing of the immigrants correspondence and in order that the Head Office and National Employment Office can transmit without delay, orders and instructions all over the Republic, there is a Post and Telegraph Office in the Immigration Hotel. 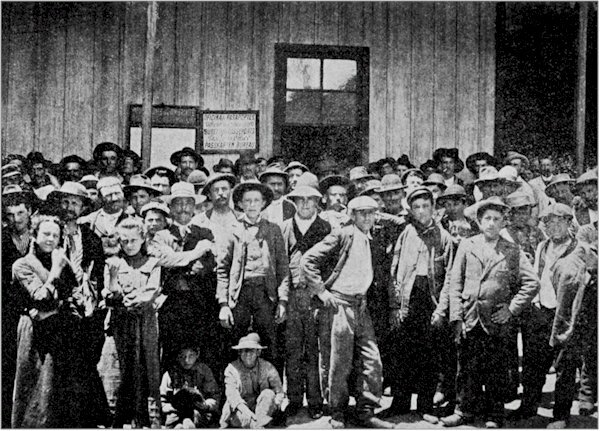 The four following returns, summarize the Argentine Immigration movement from 1857 to 1903. In those relating to the entry and nationality of immigrants, the information corresponding to the years running from 1857 to 1903 is given, and in those which refer to their trades and forwarding to the interior, the information has been taken corresponding to the last decade, this lapse of time being sufficiently demonstrative. IMMIGRANTS PLACED AND FORWARDED TO THE INTERIOR OF THE COUNTRY BY THE NATIONAL LABOUR OFFICE DURING THE LAST DECADE FROM 1894 TO 1903. IMMIGRATION FROM COUNTRIES BEYOND THE SEA AND MONTEVIDEO 1857 to 1903. General Total (including first class passengers) 3.685.430. TRADES OF FOREIGN IMMIGRANTS, IN THE LAST TEN YEARS, FROM 1894 TO 1903. Transcriber’s Note: To make the following table easier to read on the screen it has been transposed to show Years as column headings and Nationalities as row headings. NATIONALITY OF IMMIGRANTS FROM COUNTRIES BEYOND THE SEA, EXCLUSIVELY, from 1857 to 1903.